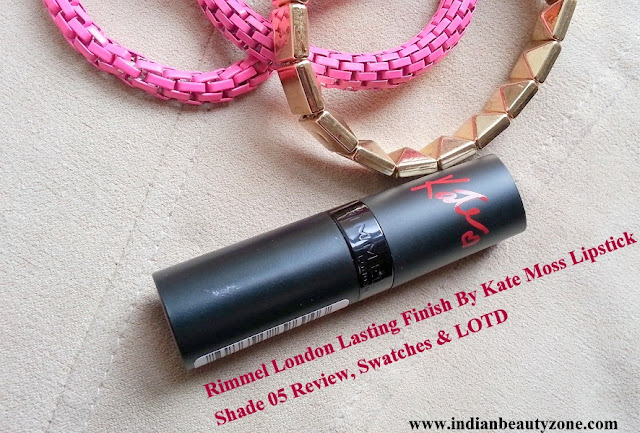 I am reviewing last shade of my Rimmel Kate Moss collection having reviewed shade no 110 and 19 earlier. This one is a lovely n pretty pink, not too bright so can wear casually but can also build it up to make it darker and bolder as you wish. I think lipstick can make you look a lot more 'done up' and makes you feel better about yourself. Available : Boots/Superdrug Store at UK. In India available at slassy online store and Mumbai. It is very pretty pink. 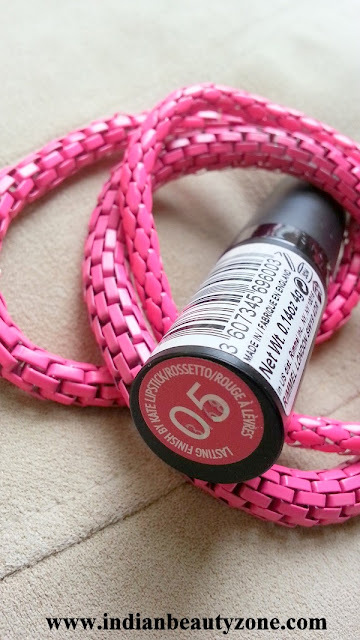 Its girly shade and very much pigmented too; moisturising formula is good as does not dry your lips. But Texture is creamy although it doesn't smudge, bleed, transfer or settle in to lines or accentuate your lips. 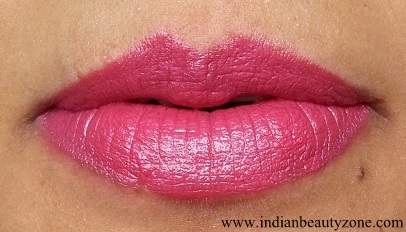 You can feel the buttery effect on lips which makes them look healthy, juicy n fuller. Also, due to its smooth texture, it does give the feel & shine of a lip balm. It Would suit all skin tones; subtle and natural enough to be worn during the daytime and would be appropriate for office use. Not very happy with the staying power though, only lasts 4 hours against 8 hours as claimed by Rimmel. But it does leave a nice stain after fading. It has a bubble gum fragrance which is ok for me. It glides smoothly on lips without tugging. One of the flattering colour which give your lips more definition and brightens everyone’s face and mood! I am quite impressed with the classy and pretty packaging. It comes in an elegant black matte tube with the Kate’s signature and embossed Rimmel logo. The tube is quite sturdy as lid firmly clicks shut. 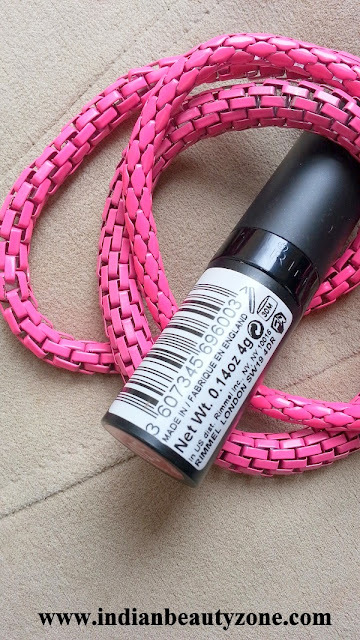 There is a bullet with the colour name and number pasted on one side of the lipstick which is very helpful in in identifying the colour if you have a few of them and shade number mentioned on the other end of the tube. It’s one of the best packaged drugstore lipsticks I have seen to date. Texture is very smooth, creamy and rich in moisturization. There are 11 shades available and everyone can afford this lipstick. For dry or chapped lips I would highly recommend exfoliation or moisturize your lips properly; can apply lip balm underneath. Pigmentation: It is superbly pigmented with a light reflecting sheen for added dimension. One swipe covers pigmented lips and colour is very intense. Quite happy with pigmentation, great consistency, texture and smoothness but not with the staying power. The colour is beyond beautiful. It’s not bright annoying shade of pink, rather a very pretty & sultry one. It also has a bit of shine so you don’t have to put a gloss over it. 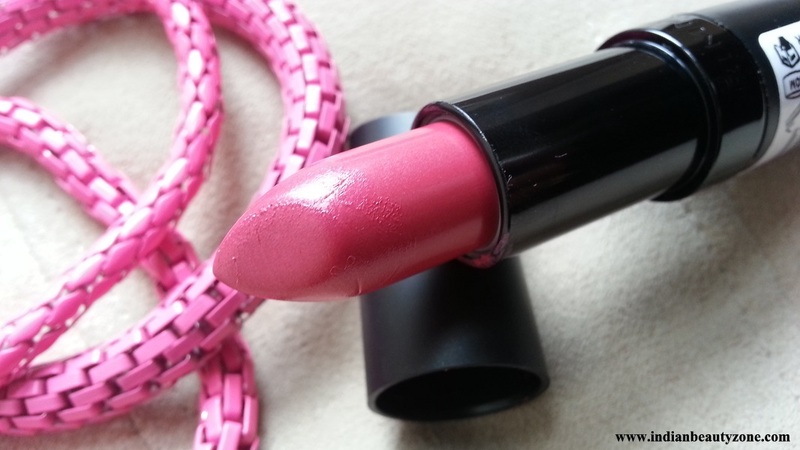 I really adore this fabulous lipstick as comes in a classy packaging and quite affordable. It also keeps my lips moisturized but would recommend applying lip balm underneath if you have dry or chapped lips. Must give it a try! 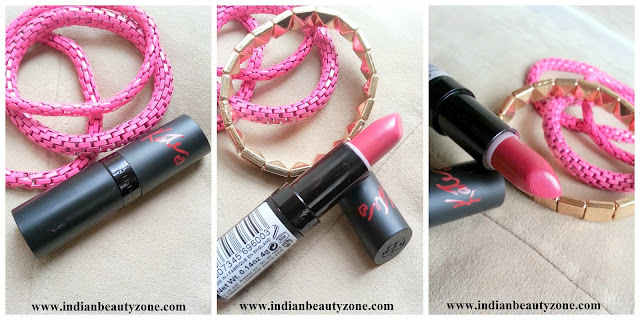 Koi to rok loo.. Tej dear.. ek dum awesom picss... and lip swatches are super-duperr beautifulll.. love the shade ..! hehhe...okie rakh liya maine tumhrae liye...will nt use..pakka pinkyy promise..
Looks really good on your lips sweetie! Very nice color! Such a pretty shade. Looks great on you! Rimmel <3 i love this brand . 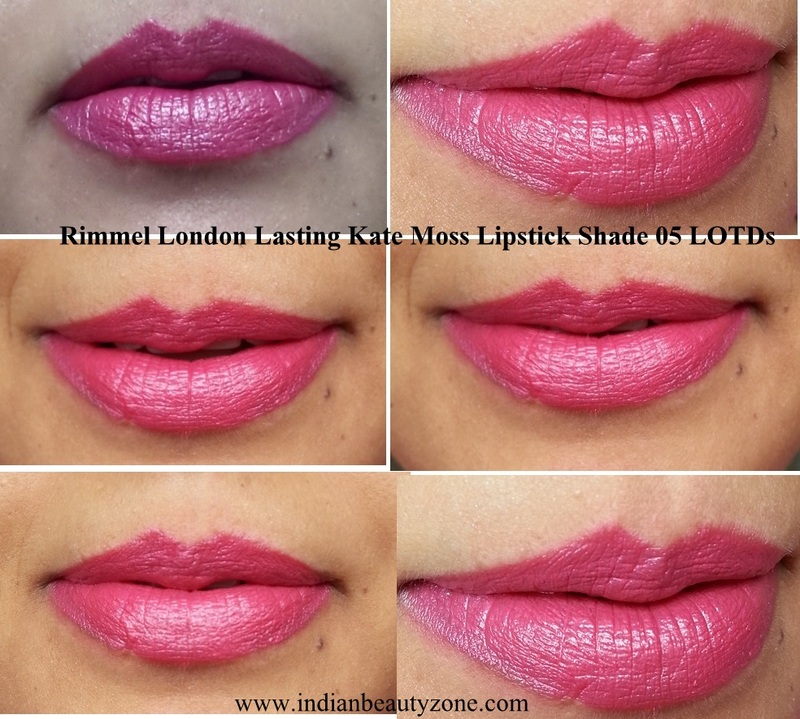 wow..Rimmel products r my fav..happy to knw u start loving too.. Loved the colour and i think i would like its bubble gum fregrance too..
yeah very good product n pretty shade..
aww..u must try this one dear..
sorry teji i am really late today because my net too slow !!!!!! aww...janat u r v sweet ..no problem dear.. Thank you for ur lovely comment ..and indeed its a pretty pink..
do give it a try !!! how r u dear ?? Wow... lovely shade, perfect for summer!!! !